Go ahead, take the shot. This runner came in with ankle pain after running across the slope of the hill with the right foot uphill left foot down. She slipped on the ice and heard a pop. She presented to the office with minimal swelling, ankle pain on the right-hand side. Very little discoloration. She said that her ankle was “bent sideways” but reduced overtime as she crawled home to get help. She slipped on the ice and heard a pop. She presented to the office with minimal swelling, ankle pain on the right-hand side. Very little discoloration. She said that her ankle was “bent sideways” but reduced overtime as she crawled home to get help. 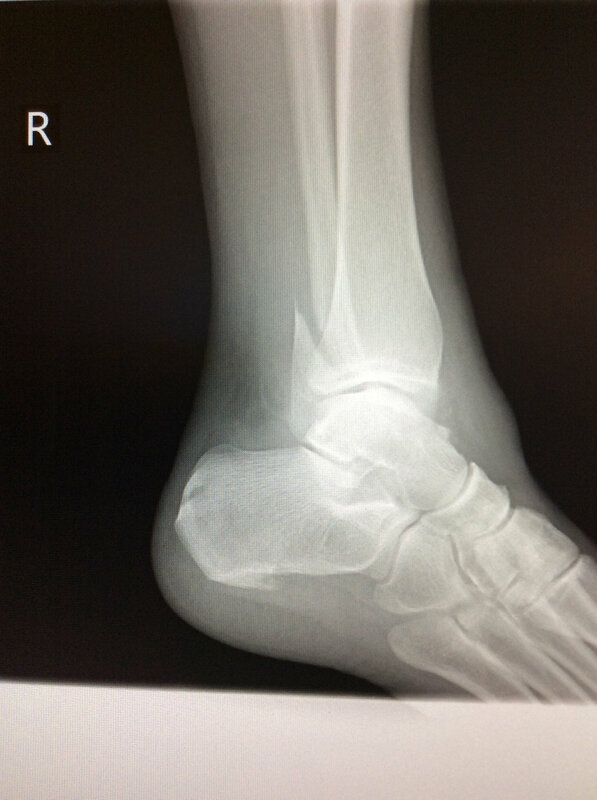 The ankle was moderately swollen and tender at the medial and lateral malleoli with little gross deformity. She was not able to bear weight on that side without pain. We took the first picture (top) which didn’t look too bad. We could’ve stopped there thinking that it was just a bad sprain. But we didn't… We always take three views of an area so we don’t miss things. 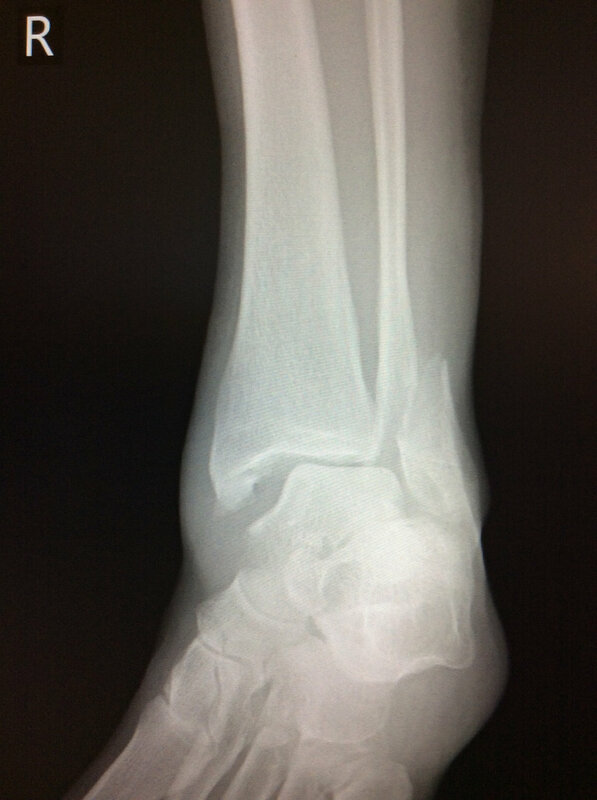 You can plainly see in the second and third views that she has involvement of the deltoid ligament as well as the more obvious distal fibula fracture. We did some acupuncture to do reduce swelling at the patient’s request and contacted the orthopedists office for her, placed her in the mobilization brace and give her some crutches. When in doubt, take the shot. It can make a huge difference clinically.